My name is John Britton. 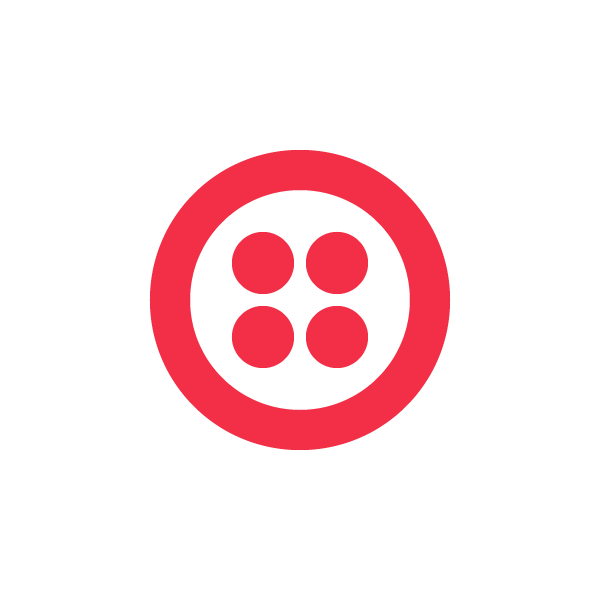 I joined Twilio just over a week ago, and let me tell you, it’s been an amazing experience so far. I’m coming on board as a Developer Evangelist, and I’ll be working alongside John Sheehan to make the lives of all Twilio developers as easy as possible. I’m here to help you get your new Twilio apps off the ground and sprinkle Twilio goodness all over your existing apps. I live in New York City, but I’m visiting the Twilio HQ in San Francisco for the month of June to get ramped up. I’m really looking forward to bringing the Twilio special sauce back to the Big Apple. A few years ago, a good friend and I were running a small IT consulting shop. We provided web design and application development but soon realized that many of our customers would benefit from an advanced phone system. After a bit of digging, we came across Asterisk PBX, an open source application for building phone systems. At the time, Asterisk seemed to be exactly what we were looking for. We powered through the intense learning curve and got our first system setup after a week or two of tinkering. It was clunky, hard to maintain, expensive, and had a single point of failure. We deployed Asterisk for a number of small businesses, but eventually decided the overhead wasn’t worth our while. Fast forward to last month. I heard about Twilio through a developer contest with Boxee. I was amazed when I learned about the simple, pay as you go, scalable voice and SMS API that I could use with my tried and true web development skills. It seemed so logical to use a web service to hide all of the cumbersome telephony details. If Twilio had existed a few years back, I definitely would have used it for my customers. As a matter of fact, my partner and I wished for a similar service for years. Ultimately, I decided to join the Twilio team because I know the product addresses a real need from my own first hand experience. I’ve been tinkering with computers for as long as I can remember, so I guess I’d qualify as a ‘digital native’. I built my first ecommerce site when I was in 7th grade using imagemaps and MS Frontpage. As I, and the web, matured I learned to avoid tags, frames, background music, and all that jazz. When I started university I studied nuclear engineering, but promptly switched to computer science after landing my first programming job. 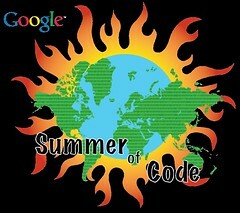 In 2008 I published my first open source contribution as part of Google’s Summer of Code program. I’ve worked for a number of web startups over the years in retail, gaming, and communities. Most recently, before joining the team at Twilio, I was the Lead Developer at Flat World Knowledge, an open college textbook publishing company. I’m a technologist by trade, and I love free / libre / open source software. I’m addicted to travel and Couch Surf often. I’ve been known to hitch-hike without a destination. In the past three years I’ve been to 30+ countries on three continents. I’m a language junkie: written, spoken, and computer. I love to learn new things and am heavily involved in the Open Education community. I love to take photos of the places I go and the things I build. I’ve been in San Francisco since last Tuesday I’ve been working and adventuring nonstop. I spent my first four days (short week) in the office learning the ropes on customer support and product offerings. Every Wednesday we have a company dinner; we ate delicious Thai food and learned a very alternative theory about dinosaur bones on the moon. The development and marketing teams have been great and taken me for a few nights on the town. 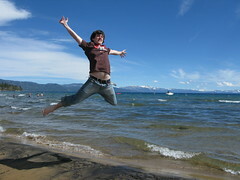 My first weekend I took a road trip to Reno and Tahoe with one of my coworkers and a few new friends. As if that wasn’t enough, this week isn’t even over and I met Rasmus Lerdorf, the inventor of PHP, at Hacker Dojo and I won a 3D Mouse at the SFNewTech meetup. In short, I’ve been keeping very busy and am looking forward to keeping it that way. Peer 2 Peer University (P2PU) – An online community of open study groups for short university-level courses. P2PU Open Web – The ultimate curriculum and certificate for open web developers. Mozilla Drumbeat – Drumbeat gathers smart, creative people like you around big ideas, practical projects and local events that improve the open web. Open Everything – A global series of unconferences revolving around Open. We’re growing fast, and have a few positions open at the moment. I highly suggest you check them out, working at Twilio is sweet. You can also email jobs@twilio.com for more information.